HomeRubber Bracelet WristbandsAdult Size 8" Awareness Wristbands"Cure Diabetes" Red Rubber Bracelet Wristband - Adult 8"
Buy the "Cure Diabetes" Red Rubber Bracelet Wristband. 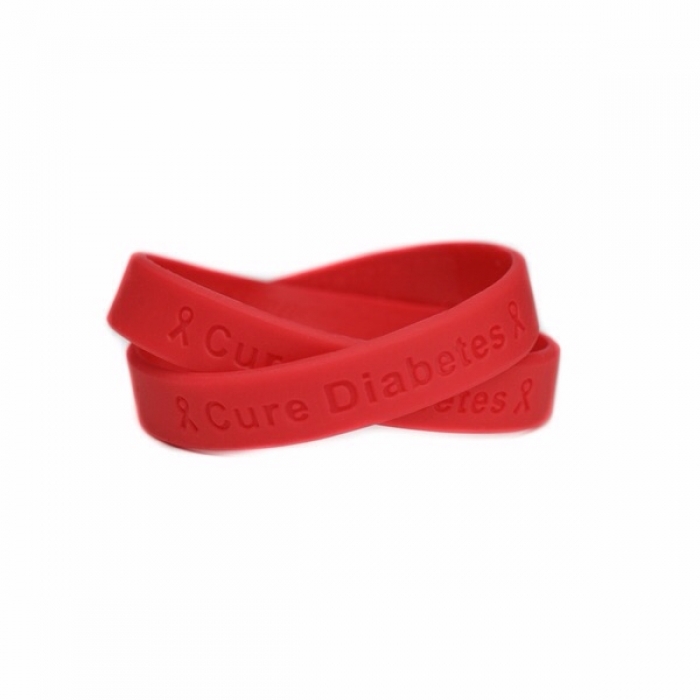 Our "Cure Diabetes" wristband is made from 100% silicone rubber. All of our Rubber Bracelet Wristbands come packaged in a polybag with a header and a bar code. 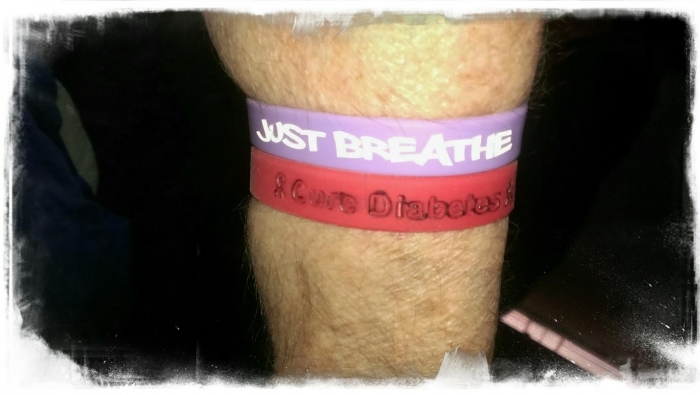 My son, brother and niece are Type 1 diabetics. I am a very loyal supporter of Diabetes Awareness. 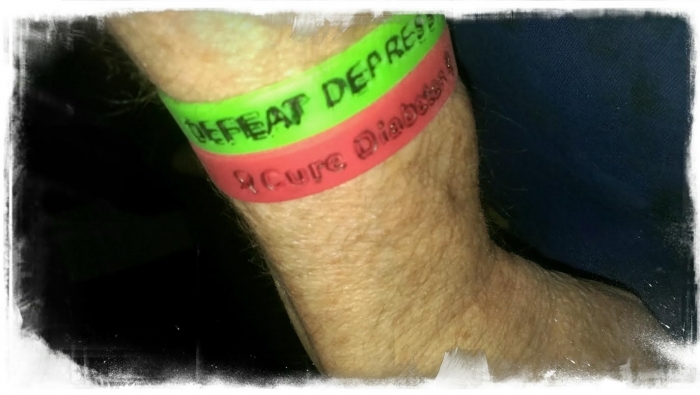 I purchased twenty-five cure diabetes red rubber bracelets to share with others and show collective support. The red rubber bracelets are perfect and thank you for selling them. Best UsesShow support for a diabetes cure. Wear with pride.